Bringing a lawsuit for injuries sustained in a car crash involves several steps and a certain level of commitment from you. The first phase of the process is called discovery. Simply put, you will answer questions and present documents to detail the facts of the case. At the end of discovery, a deposition is done at an agreed upon location. During the deposition, you will be asked questions under oath to document the accident, your damages, harms and losses and other relevant facts. Once complete, both sides will often attempt to resolve the claim without going to a trial in a process called dispute resolution. The most common form of dispute resolution is mediation. 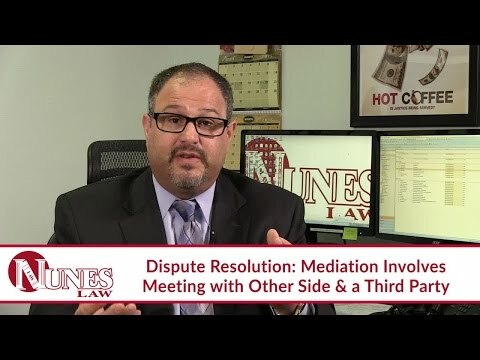 During mediation, both sides will present their case to a neutral third party. If no agreement is reached, a trial would be the next step in the claim. Depending on various factors, the length of a trial can range between less than a day to over a year. Watch the video to learn more. If you have additional questions regarding the processes and your involvement in bringing a lawsuit for injuries sustained in a car crash, I want you to call me at (559) 436-0850. Visit our educational website at https://www.nuneslaw.com for more videos and media content from our law firm.